There are hundreds of jellyfish in the world but only several kinds of jellyfish are edible. This edible jellyfish is preserved in salt and packaged and sold in the refrigerated section in Korean grocery stores or in Chinese grocery stores. Posted on Tuesday, September 11th, 2018 at 6:37 pm. 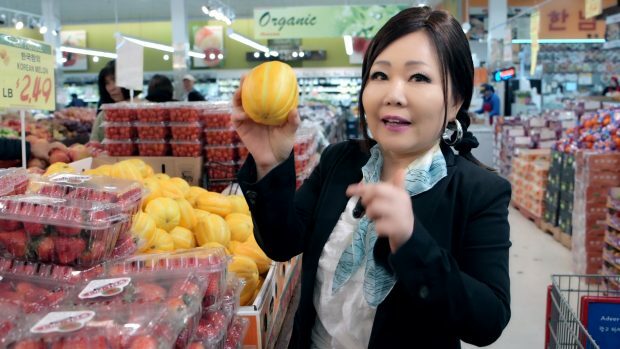 Video: Let's go shopping with Maangchi in a Korean grocery store! Where do you buy your Korean cooking ingredients? Add your local store to the Korean grocery store directory and help others find good places to shop! We have shops in many countries including Australia, Austria, Belgium, Canada, Chile, Indonesia, Italy, Spain, UAE, the UK, the USA and online.